Enjoy a cold one, Eastchester! In the past decade, local breweries have been popping up all over Connecticut and around Eastchester. The State of Connecticut coined the phrase “The Connecticut Beer Trail” to highlight the many beer destinations. 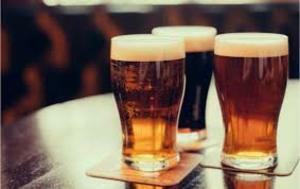 According to Connecticut Brewers Guild, promoters of Connecticut breweries, as of September 2018, there are 80 operational breweries (with many more on the horizon).